Some of the best multiplayer Android games strewn across the market take complete advantage of the popular saying, ‘The more the merrier.’ There are certain titles that retain their charm and entertain single players, while others go on to proffer a fun-filled experience to a group. This roster features a few such delights plucked right out from the latter group. Some of them allow you to socialize with the opponent and hence, make things more exciting. Whether it’s bringing the sibling rivalry to the gaming floor or completing a mission with your best friend, the games mentioned below will allow you to do just that and a whole lot more. If cars and speed are two of your favorite words as an ardent gamer, then you have probably tried your hand at the Raging Thunder title. 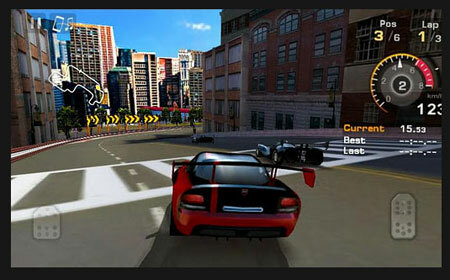 The game is complete with 3D graphics and comes with controls that you can customize to suit your needs. Furthermore, this is a cross-platform multiplayer title, so you can ask up to 3 of your pals to race against you when online. And yes, you won’t have to shell out a dime to download this offering and if need be, you can always get the ad-free full version from the Android Market. 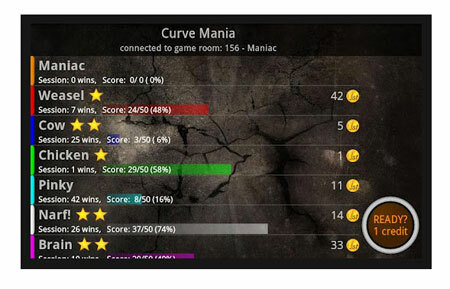 Curve Mania features on our games roster for a good number of reasons. Firstly, up to 7 players can play the game in real-time and bask in the simplicity of its engaging gameplay. The offering involves taking charge of your rocket-propelled droid and using the right and left side of your device’s screen to move it in the required direction. The challenge is to steer clear of obstacles and other players and yet, aim at being the last droid alive. It’s a race of sorts to mark your position as the only player who can last till the end. So you will have to use clever tactics to move the others out of the path and create forces as well as join alliances to break them and keep charging ahead. As the name suggests, the 4 Player Reactor allows up to 4 gamers to dip into the title on one device. As you may have guessed, your reflexes are put to test when your opponents are aiming for the very same thing, all on one gadget. 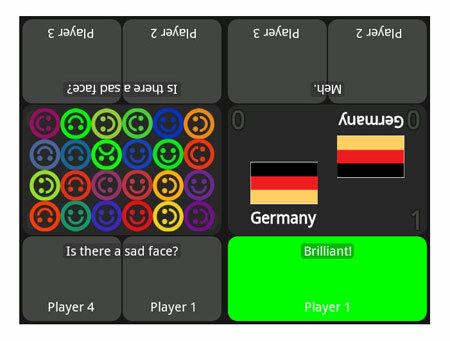 There are 22 different multiplayer modes amongst which Naughts and Crosses could be played with your siblings or Illusions as well as Country Area and Flags can be guessed amidst a number of other options. The free version of this title is a 2 Player Reactor which can also be found on the Android Market. Amongst hoards of other Android games, Chess Time may just strike a chord with you if you are looking to exercise your grey cells. This is again a cross-platform title, so if you want to play chess with friends who own iOS devices, you can go ahead and do so. Naturally, your opponents should have the game downloaded on their devices. 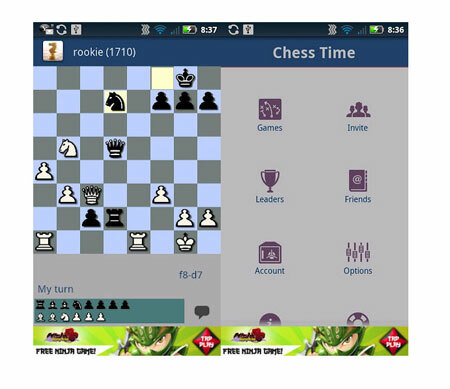 You can indulge in a game of chess when online by creating an account from within the app and inviting people to join in. You can chat with other players while deciding your next move, on this free game. With an auto-rating system and leaderboards in place, your scores are being recorded, so you know where the game is heading. And being able to flaunt your wins later is always another plus. Parallel Kingdom is an augmented reality game which employs the GPS so that you can play in real time on the actual map of where you live. Chances are that this is already one of your favorite games since it brings the thrill of capturing territories, expanding empires, collecting gold and doing a lot more. In this player driven title, you can opt to survive as a trader by manipulating the economy as a whole. Other cities can be found and territories can be claimed, while the virtual world showered with a dash of reality, only goes to add to the excitement amongst avid gamers. 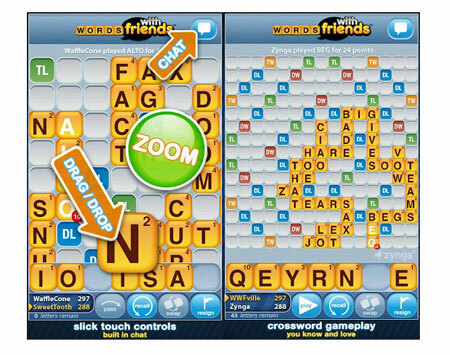 Need we mention why Words With Friends has featured on our games roster? As an Android loyalist, you may have probably enjoyed dabbling in words against family, friends or random opponents, on this title. This popular game tags in a simple crossword game-play which well, requires you to build words and seek to attain triple scores, while doing so. Besides, you can chat with your kin or random people, when playing against them and try to work out tactics to emerge the winner. 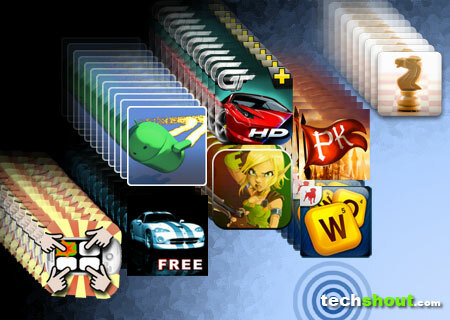 If a single game doesn’t satiate the player in you, then you can always indulge in up to 20 games simultaneously. Dungeon Defenders: Second Wave, in the bid to cater to action lovers as well tower defense fans aims to combine the best of the both worlds. Apprentice, Squire, Huntress, and Monk are the four classes on the game to select from. 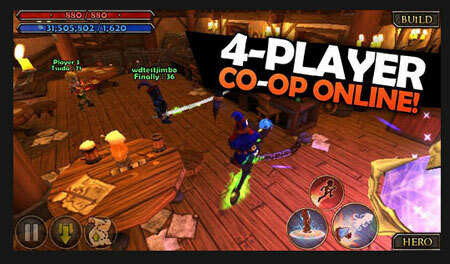 4 online players can work together in the game or you can also choose to play against you friends in the Arena mode. Bring your heroes up to level 80 by deploying strategies to set up towers in order to take on the opponents. What’s more, you can even voice chat with your friends in the Tavern and plan out the defenses to bring down the enemies and become one the strongest heroes around. Here is another title which may just give you the adrenaline rush of being a part of a virtual car race with up to 6 players. The GT Racing: Motor Academy Free+ game features a Career mode and you can begin by giving driving tests to gradually go onto emerge victorious when racing against your pals. More cars can be unlocked along with new events to keep the challenge going. 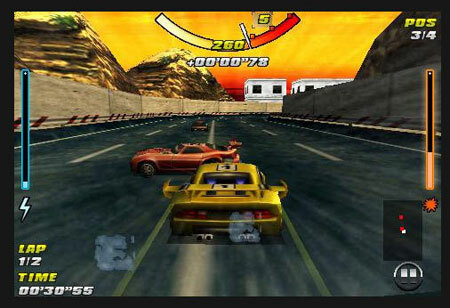 Complete with a number of tracks to opt from, cars such the Audi R8, Nissan GT-R and even a Ferrari can be driven around as and when you progress in the game. 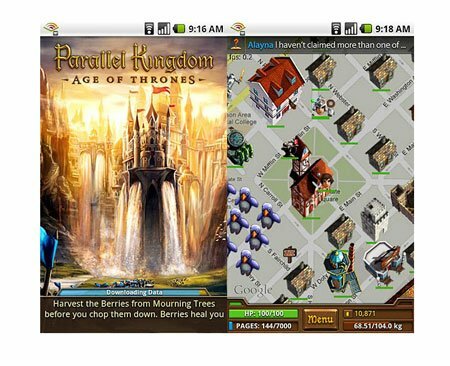 Which of these best multiplayer Android games did you take an instant liking to? Also drop in a line about the titles that are your personal favorites but haven’t found a place on this roster.